Canada's Prime Minister, Stephen Harper Disappoints Many Canadians Once Again! Well, it looks as if Prime Minister Harper and his government are once again taking Canada's world reputation on a race to the bottom. Many Canadians were already shaking their heads in disbelief when Mr. Harper disgraced this country's good name by turning his back on a binding international agreement to limit greenhouse gases which cause global warming. The Prime Minister's newly-minted government has brazenly refused to sign another international treaty which would simply have warned of its dangers. Asbestos causes deadly diseases including lung cancer. Yet our national government continues to "spin" this indisputable fact because of the money it brings to the province of Quebec, where it is mined and exported abroad, often to developing countries. There, regulations are often lax, and those who are exposed to it have little knowledge of its deadly effects. My own MP, Robert Sopuck (Conservative, Dauphin-Swan River-Marquette), suggests there is confusion over the fact that there is more than one kind of such fibre in the world. In an email to me, he points to "scientific reviews" which show the risks posed by the kind which Canada mines and exports "can be managed if adequate controls are put in place." He doesn't spell out what scientific reviews he is referring to. According to the Canadian Cancer Society, Canada's asbestos exports contribute to cancer epidemics which kill 90,000 people, yearly! Not much room for confusion there, Mr. Sopuck! Yet he refuses to admit that it is the Canadian kind that's responsible. He claims health problems showing up today are a result of "poor handling methods and high exposure levels, which were abandoned in the late '70s!" I watched a TV documentary just a few months ago (not 3 decades ago), showing workers in India handling raw asbestos with their bare hands and nothing more than a kerchief over their faces! Are these the poor handling methods Mr. Sopuck implies were abandoned so long ago? His heroic attempts to divert attention from his government's outrageous behaviour simply do not fly with me. Nor will they, I trust, with many of my fellow Canadians. Besides, if there are ways to handle asbestos safely, why didn't his government just sign the agreement so these could be included on the labels? Two years ago, according to the Ottawa Citizen, the government Mr. Sopuck now represents, covered up evidence from credible Health Canada scientists, tying asbestos to lung cancer. In the words of the newspaper, "It appears the government employs a variety of measures to suppress information on the threat to health posed by Canada’s asbestos." Then, there's a final irony. Canada has, for years, been spending billions, diligently removing asbestos from our own public buildings. These include the parliament buildings and even the Prime Minister's residence, because of the dangers it poses. If Mr. Harper is so convinced of its safety, why did he not simply leave it where it was? Another disturbing aspect of all of this is the aura of environmentalism Mr. Sopuck has chosen to cloak himself in, while running for office and since. He regularly points out he was once a member of the National Round Table for the Environment and Economy. Since his election, he has been chosen to serve on the Standing Commons Committee for the Environment and Sustainable Development. Call me crazy. But would you not expect someone with his credentials, rather than defending such obvious affronts to anyone with a reasonable, environmental conscience, to be speaking out against them, instead? 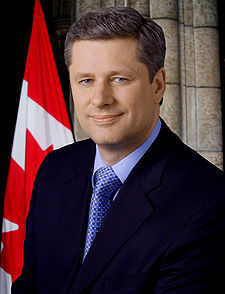 During the election campaign, Prime Minister Harper called repeatedly for a "strong, stable, national, Conservative majority government." Could it be that Canada is now a chicken house, firmly in the control of "a strong, stable, national majority" of Conservative foxes?